My name is Miranda. 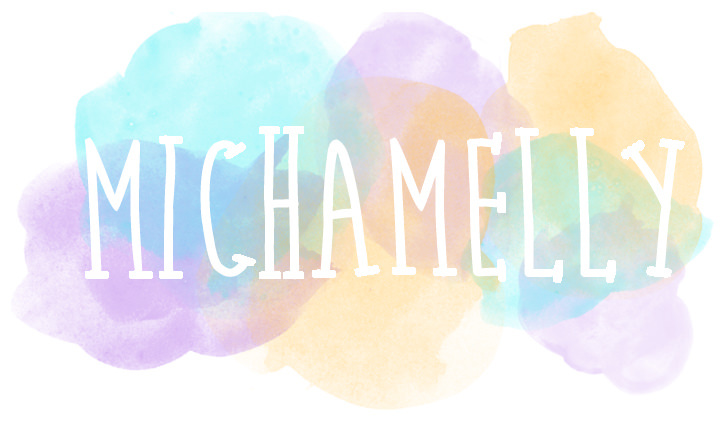 And I'm a blush-a-holic. 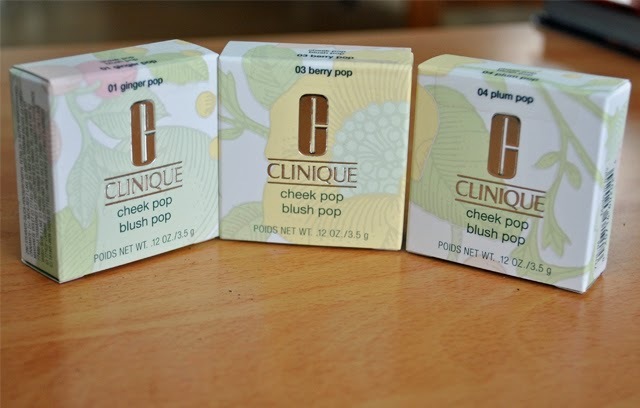 Keep reading for my thoughts on the Clinique pop blushes. Set 3 i turned my hand to reflect the light differently putting ginger into a shadowed position and plum out of the shadow into the light to get a better send of what the blushes looked like int he different lights. 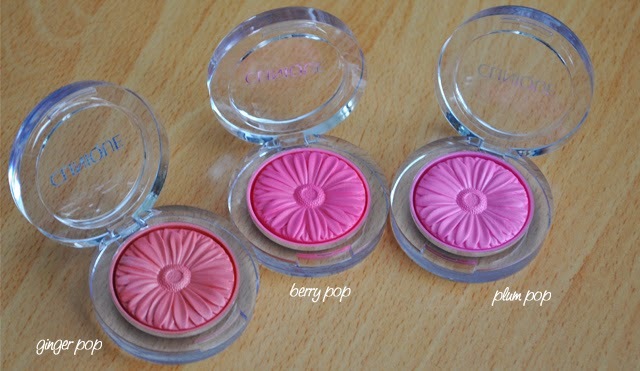 I like these blushes a lot. 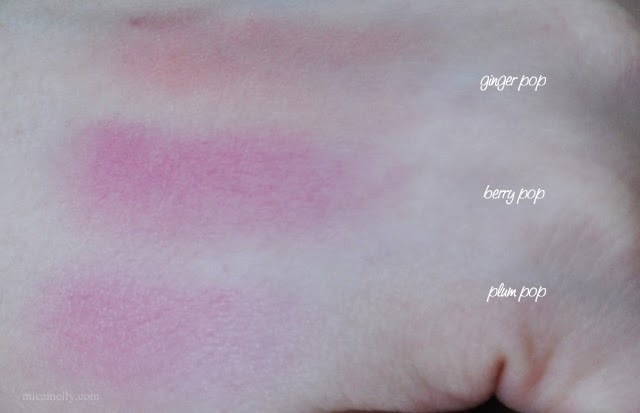 Looking at the swatches in real life and now on my computer I don't think the second application of plum pop was necessary. Between Berry and Plum pop in some lights it's hard to tell the difference between the two and in others its very easy. 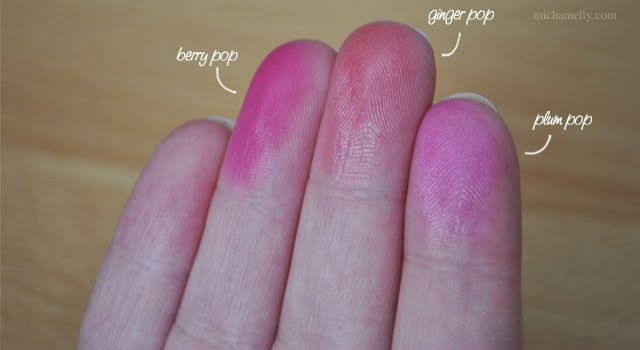 I did notice that when I leaned my face on my watch some of the blush transferred from my cheek to my watch. I had no primer or setting spray on today so that might be something you'll want to use to try and avoid that transfer.